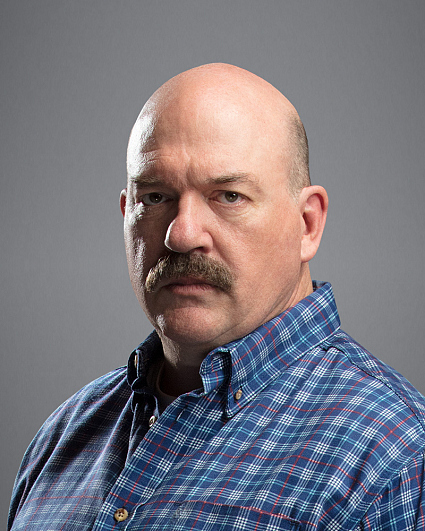 A native of Colorado, John Carroll Lynch landed his first major film role as Norm opposite Frances McDormand’s Marge in the Coen Brothers’ Academy Award-winning Fargo, while he was a member of the Guthrie Theater Acting Company in Minneapolis, Minn. Since then, he has worked steadily in film, television and theater, playing an impressive range of characters—if there’s one thing consistent about Lynch’s career, it’s the extreme diversity of the characters he plays and wide range of material he has worked on. He has done comedy, drama, and every other genre, from thriller and mystery to melodrama and horror. With over 50 film credits, Lynch has had the good fortune to be directed by Clint Eastwood, Martin Scorsese, David Fincher, John Lee Hancock, Mark Ruffalo, Miguel Arteta, Pablo Larrain, Mick Jackson, Karyn Kusama, Albert Brooks, and Seth MacFarlane, among others. On television, Lynch has appeared on many series; most notably on American Horror Story as Twisty the Clown, as well as The Walking Dead, Billions, Turn, Manhattan, The Americans, House of Lies, Carnivale, Body of Proof, Big Love, From the Earth to the Moon, David E. Kelley’s Brotherhood of Poland, NH, and six seasons on The Drew Carey Show as Drew’s cross-dressing brother, Steve. Lynch continues to pursue work in the theater. Highlights include the lead role of Eddie Carbone in Arthur Miller’s A View from the Bridge at the Guthrie, the original production of the Pulitzer Prize-winning Dinner with Friends at South Coast Rep, Under the Blue Sky at the Geffen, and Beth Henley’s world premiere Ridiculous Fraud at New Jersey’s McCarter Theater. Most recently, he starred in Anything opposite Matt Bomer, produced by Mark Ruffalo. Before that, Lynch could be seen in The Founder opposite Michael Keaton and in Jackie starring Natalie Portman. In addition, John made his directorial debut in 2017 with the film Lucky, which starred Harry Dean Stanton and premiered at that year’s SXSW Film Festival. It was released through Magnolia Pictures.